I am a big believer in sweat equity for a home. Yes, it’s dirty and hard work but it’s so worth it once you are done! Plus, you can stretch your budget so much further if you can put the time in and save on labor costs from paying others. If you go to Lowe’s or Home Depot, they have a decent selection of hardware but it’s expensive. Most of it is sold individually and that adds up quickly especially when you have 11 drawers and 16 cabinets. Some of the options are sold in “contractor” boxes but it’s only 10-20% savings. My tip is to shop Amazon. In my experience, that’s the best place to get bang for your buck for cabinet pulls. Be sure to measure the distance of the pre drilled holes so you get the correct size for handles. By shopping Amazon, I’d estimate that we saved ~$40. My theory is if you have a working fan, it’s better than no fan. But, obviously you don’t want to have something really ugly nor in my case, did I want to spend a fortune (especially since I needed to buy 3). I settled on something very basic from Home Depot for about $42 each. They were an 80% upgrade from what we had. I just couldn’t justify the price jump to $150/fan to get to 100% upgrade. Plus, I feel like stylish fans go out of style in just a few years, so sticking with something basic is always a good idea. 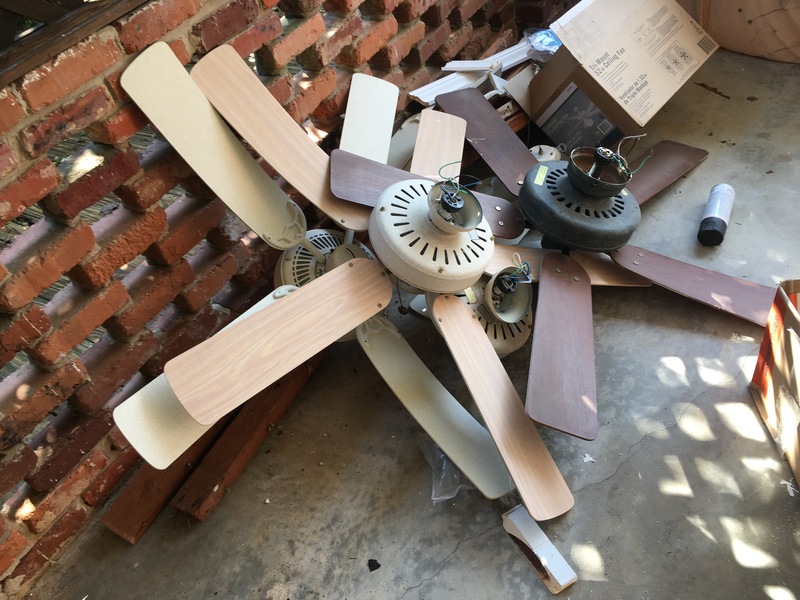 Tip: Be mindful of the blade length when you are buying fans. I didn’t think it mattered that much if the room was small, but I am glad I went with a less fancy fan but with longer blades (52inch). It may not be super pretty but it works really well! This is the THIRD home we have owned that I have painted it’s kitchen cabinets. Every time I do it, I swear I’ll never do it again… but it makes SUCH a big difference! 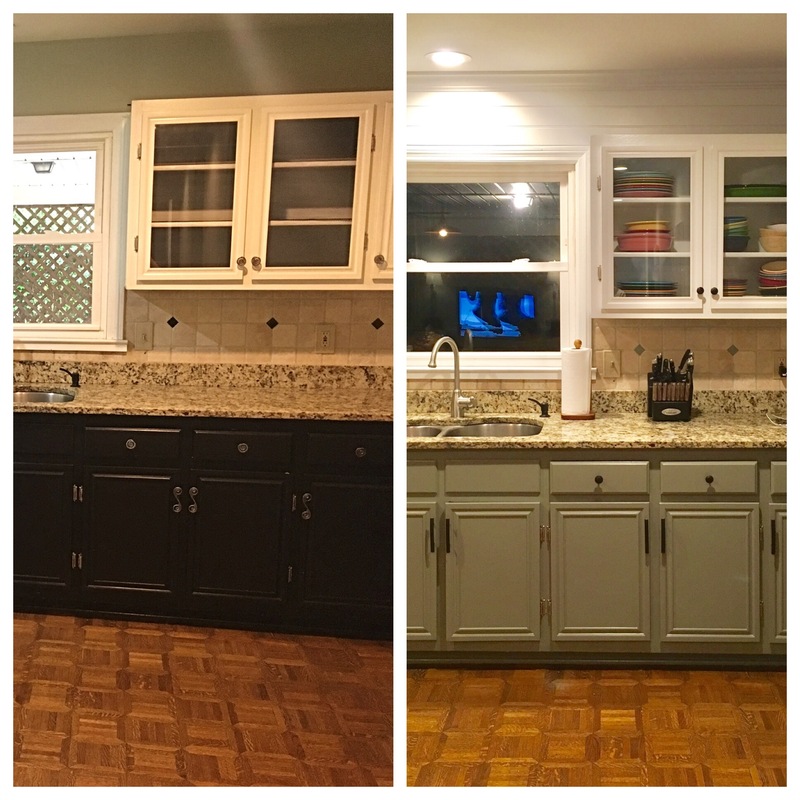 The lower cabinets were black and I just felt it was too contrasting between the granite color and dark parquet floors. Plus, they weren’t painted well (think silver hinges painted over with black paint). Long story short, they needed a face lift. I’ll do a later post on my cabinet painting technique, but for now, I’m guessing we saved a few hundred dollars in labor costs. An inexpensive exterior upgrade to your home is to paint the front door and shutters. We spent $50 on a good gallon of paint (Chelsea Grey by Benjamin Moore) and had plenty left over after these projects. It took a few hours to sand, prime and paint but I’m super happy with the result! I’m estimating that we saved ~$250 on labor paint costs. For more info on our shutter refresh, click here. This was a pretty big undertaking for our dirty house. My husband and I divided up the house to conquer it all. 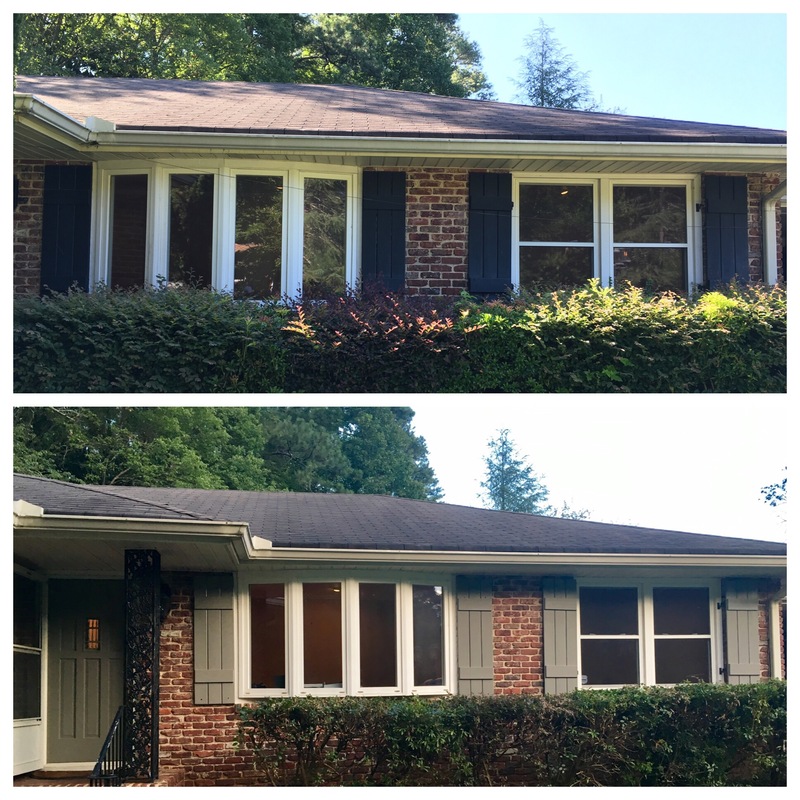 He worked hard on the exterior- cleaning the gutters, soffit siding, brick and patio. I tackled the driveway, carport and wood walkway. 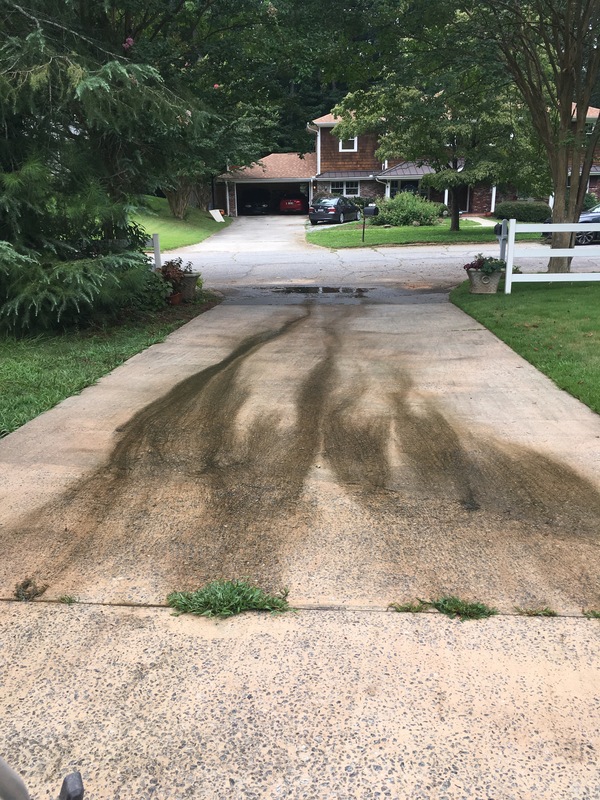 Our generous friends lent us their pressure washer. But, I’d happily rent one to see the house sparkle! I’m guessing we saved about ~$700 in labor costs for this project. We had the air ducts professionally cleaned and a anti-microbial spray applied to drastically improve the air quality of our home. 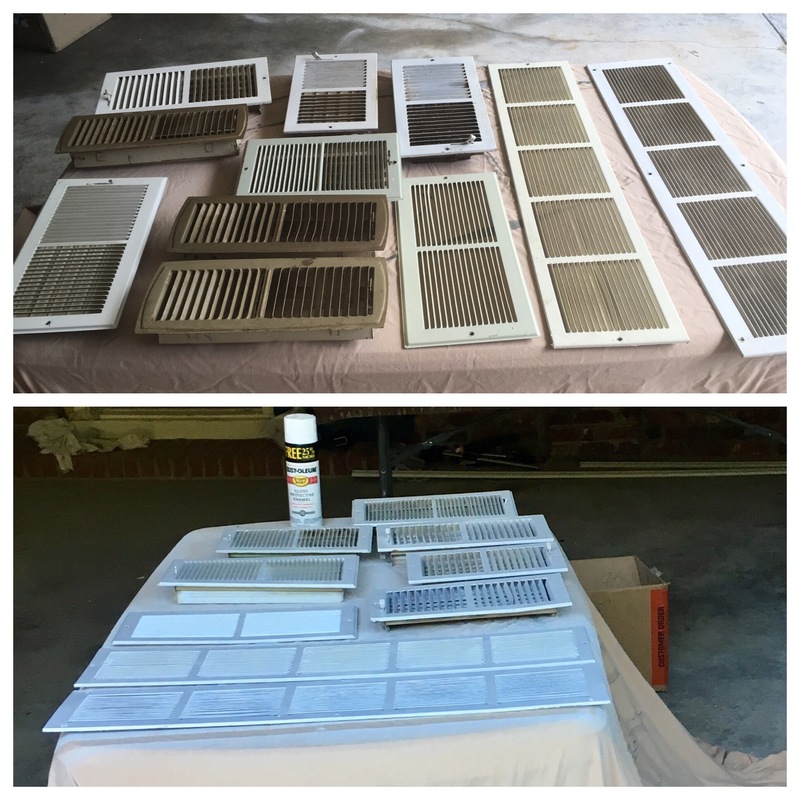 Once they were done, I asked them to leave all of the vent covers off so I could spray paint them with a fresh coat of white gloss. This was a really nice face lift for most of the aged vent covers. Next, we were able to easily re-install them. Vent covers range from $6-20 each depending on size and material. I’ll estimate that we saved $75 by buying a $4 can of spray paint. I’d love to hear your sweat equity projects! Please share! Next Next post: Happy Birthday Brooke’s Brain!